Autumn is the Catskills’ annual glory moment with thousands flocking to the ridges and peaks for the breathtaking leaf display. Still, between the back-to-school flurry and the never-ending list of chores, sometimes we need a little push to go outside and take it all in. 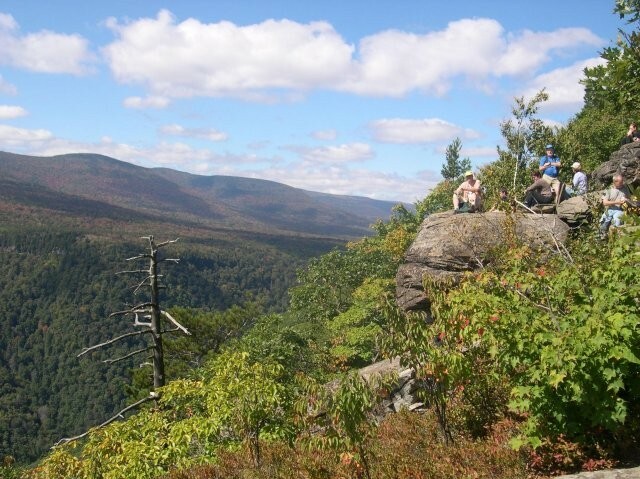 In 2004, the Catskill Mountain Club launched Lark in the Park to entice people to visit the Catskill Park during this remarkable season. The park is a 700,000-acre expanse of public and private lands stretching across four counties—Ulster, Greene, Delaware, and Sullivan Counties—with endless forests, streams, reservoirs, and 350-miles of maintained trails. How much of it have you seen? This year’s keystone event is the Catskill Mountain Club’s fundraiser dinner on October 8 at the Emerson Resort and Spa. Along with an educational talk about the DEC, you’ll have a chance to win a brand new kayak. See the full list of outdoor programming and register for events.